Due to the important historical and cultural nature of the estate, it’s essential to adequately preserve not only the building, but the contents inside which is what the ongoing conservation works is looking to accomplish. Ultraviolet (UV) radiation is invisible to the human eye yet it is the most damaging type of light for museum collections and historical artefacts. A really simple, non-intrusive and cost-effective way to avoid this is through the installation of UV blinds. 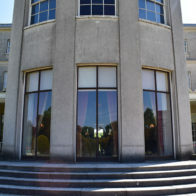 Westgate had previously installed blinds and window film at various locations on Shugborough Estate, including Lord Lichfield’s apartment, prior to the estate being placed into the guardianship of the National Trust. 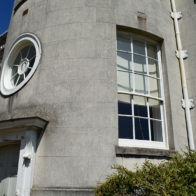 More recently during the national Trusts programme, Westgate installed anti-fade, anti-glare and security window film in the park farm house. For the mansion house project, bespoke UV blinds were installed in many more locations including the stewards room, multiple mansion bathrooms and bedrooms, and the mansion kitchen. 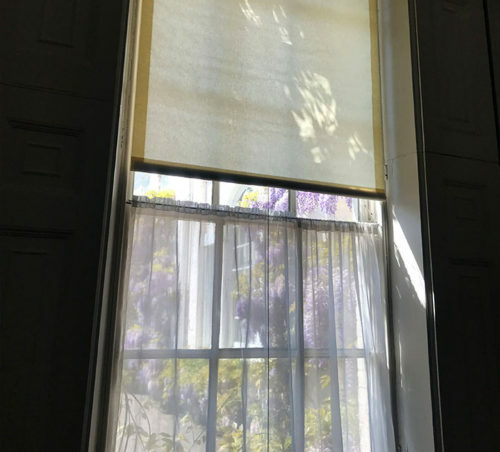 The bespoke, heavy duty action blinds that were installed in the mansion are National Trust standard and are manufactured from dim-out fabric, have zig-zag stitched hems, wooden acorns and glazed cotton cords. A matching bottom pocket containing a heavy pear-shaped, sewn in, chamfered wooden lath with a brass plate knot holder was also provided. Westgate have been working with the National Trust for many years and have completed solar control projects for various National Trust buildings including: Attingham Park, Dudmaston Hall, Powis Castle and Birmingham Back to Backs. As well as National Trust, Westgate have also completed solar control work with other historical buildings and museums including the Science Museum, London and Imperial War Museum in Manchester. For bespoke blinds, please contact us at Westgate to discuss your project.